I got my April StrideBox the other day and finally got a chance to dive it and sample/test some of the stuff included this month. 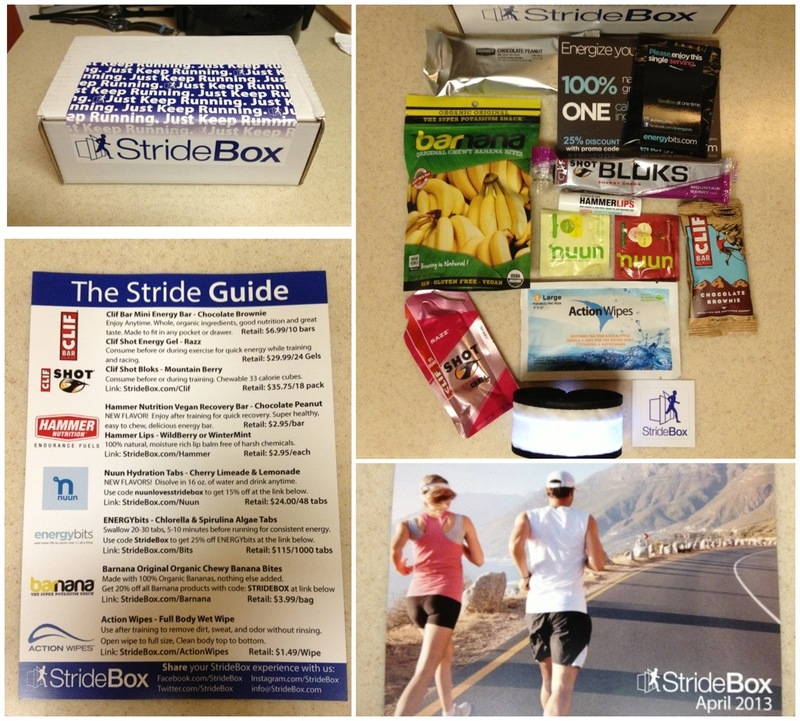 If you are not familiar with StrideBox, it’s basically a goodie/sampler box of running “accessories, nutritional products, and apparel” that you get each month for a $15 subscription. As you can see, the box contained a great sampling of products and I’ll definitely use/try almost everything included. Clif Shot & Shot Bloks. I typically use GU Gels & Chomps, but tried the Shot Bloks on my run this morning and the Mountain Berry flavor was actually pretty good. I’ll use the Shot tomorrow or Friday, but those are pretty typical in form and function. For me, it’s about the flavor – I am partial to GU’s Just Plain flavor, finding that it doesn’t mess with my electrolyte’s flavor. Bars: Hammer & Clif. I’m partial to Picky Bars (included in the March 2013 StrideBox) – mainly from a “agrees with my stomach” standpoint, but will give these a try. Again, they are pretty typical in form and function. Action Wipes: I’ll put this sample in my race bag. I have been using a similar product after race before I head home. Hammer Lips. 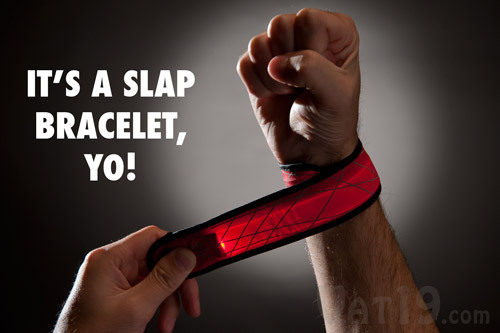 I’ll also put this in my race bag and use for sure this summer. Nuun Hydration Tabs. I’ll give them a try. I’m partial to GU Brew, but am always willing to try something once…or twice, since I got two in the box! One thing that was not listed on the “Guide” was an LED slap bracelet/anklet/safety light – it’s the white/black thing at the bottom of the upper-right photo. Not sure who makes it, but it’s kinda like the one at this link – only white. It’s a pretty good product and I have used it the last two mornings. I’m still trying to decide the best placement when I run, but see it as a good thing to have on my “road side” when I run in the morning. Box Value? Again, the monthly subscription is $15 and, by my calculation, this month’s sampling total about $31 – a pretty good deal in my book. There you have it – StrideBox vApril 2013…and it’s another winner!